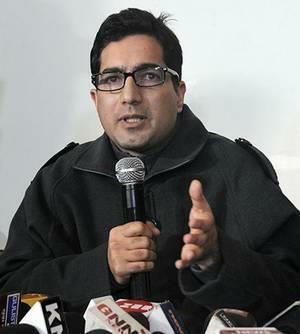 SRINAGAR: Hours after its launch, Dr Shah Faesal’s new party has courted a new controversy, when a faction of the Hurriyat Conference claimed that the former IAS officer has copied its name. Faesal on Sunday had launched his political outfit -- Jammu and Kashmir Peoples' Movement (JKPM) –months after resigning from the Service to protest the "unabated killings in Kashmir and marginalisation of Indian Muslims". However, a political outfit connected with the Hurriyat Conference said Faesal copied its name. A senior leader of All Party Hurriyat Conference Mir Shahid Saleem, who claimed to be chairman of the outfit said that a political outfit under the name and style of “Jammu and Kashmir People’s Movement” (JKPM) has been functioning for the past twenty years in Jammu and Kashmir. He said that the party was launched on April 4, 2000, at press club Jammu. After being launched, the JKPM became a constituent member of the APHC and presently is a member of its executive body. The JKPM Chairman Mir Shahid Saleem taking a strong exception to the party name being used by Dr Faesal called upon him to make a necessary modification in the name of his newly launched political party to avoid unnecessary confusion. Saleem said that during a conversation Dr Shah Faesal agreed to make a change in the party name failing which JKPM would be forced to go to the electronic and print media at large to prove its claim.